Soffia, still in her work clothes after finishing her shift at the panetteria. 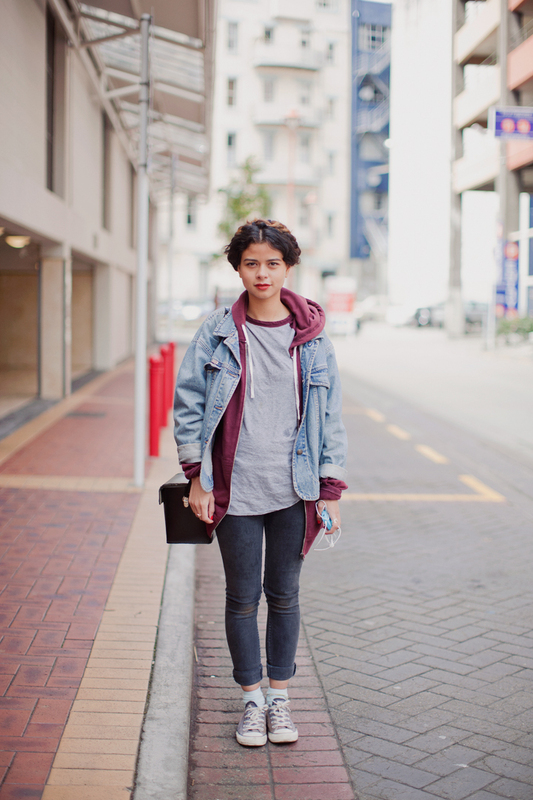 AS Colour Shirt, op-shop denim, ONCE burgandy zip hoodie and a Polaroid leather satchel. It was actually her cute braided up-do that sold the look for me though.